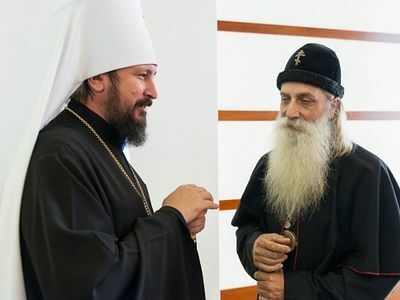 Siberia’s most famous hermit, Agafia Lykova, emerged from the Russian wilderness last Wednesday — for the first time in 70 years. According to reports, the reclusive women used an emergency satellite phone to call for help, as she was experiencing severe pain in her legs. Agafia is the only surviving member of a reclusive family — who fled society in 1936. 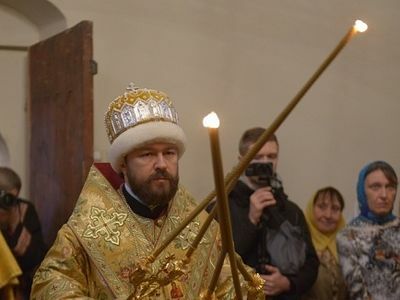 Smithsonian Magazine reports Karp and Akulina Lykov were members of an Orthodox Russian religious sect — who called themselves the Old Believers. As they experienced discrimination and brutal persecution throughout history, the remaining members of the fundamentalist sect were forced to settle in Siberia in the early 1900s. Unfortunately, as they held onto their fundamentalist beliefs, members of the Old Believers remained outcasts — and were subjected to brutality through the early and mid-1930s. According to reports, Karp’s brother was shot and killed by a “communist patrol” in 1936. In response to the brutal attack, Karp and Akulina Lykov, along with their two children Savin, 9, and Natalia, 2, fled society for a life in the Siberia wilderness. The Lykovs escaped into the forest with a few essential possessions and a handful of seeds. However, they eventually built a crude dwelling and made themselves at home in a remote area — more than 150 miles from the nearest town. After they were settled into their new homestead, Karp and Akulina Lykov had two more children; Dmitry, who was born in 1940, and Agafia, who was born in 1943. The Lykov family survived in isolation from society until they were discovered by a group of geologists in 1978. Galina Pismenskaya, who led the expedition, describes his first impression of the family’s crude house. Although they were understandably hesitant, the Lykov family eventually emerged from their home and interacted with the scientists. During one of their early conversations, Karp explained to the visitors why he and his family fled Russian society. Despite the fact that his family struggled at times to find food, and his wife had died of starvation in 1961, Karp and his children appeared to be content with their meager lifestyle. Karp and Savin had vivid memories about the life they left behind. However, Dmitry and Agafia Lykova knew only what they had been told. The geologists visited the family on numerous occasions. Although they were curious about society, and scientific advancements, the Lykovs initially refused any assistance or gifts. According to reports, they later accepted some help with their daily chores and several gifts — including cutlery, paper, pens, and salt to season their food. However, the family refused to leave their home and move back into modern society. Three years after they were discovered by the geologists, three members of the Lykovs family fell ill. Unfortunately, they refused to leave the wilderness to seek medical attention. Dmitry, Natalia, and Salvin all died within a period of two weeks. As the loss was great, the scientists tried once again to convince Karp and his daughter to move out of the forest. However, they continued to refuse. 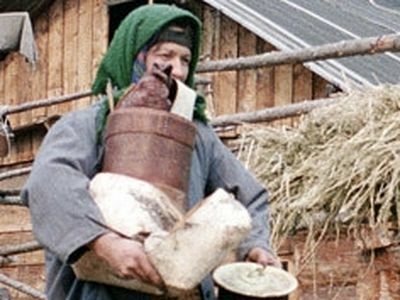 Following the death of her father in 1988, Agafia Lykova lived in the Siberia wilderness alone for nearly 30 years. Although one of the geologists continued to visit through the years, Agafia refused to accept any products “marked with a barcode – including matches and medicines” — per her religious beliefs. However, she still appreciates gifts of salt — which her family never had before 1978. She also accepted a satellite phone, which she agreed to use if she had an emergency. Last Wednesday, Agafia Lykova used the telephone to call for help — as she was experiencing acute pain in her legs and it would have taken two weeks to walk to the nearest village. Siberian Times reports she was successfully treated for the pain, but will remain in the hospital for observation. Agafia, who has been living in a Siberian forest her whole life, says she has no plans to move to civilization. I pray that Agafia has returned to her home and is doing well. If there is any way I can help support in some way, it would be my honor to do so. She is a fine example of a person totally dedicated to God. May God bless her. Give her assistance, not control. Same age as myself. Let her live out her life as she chooses not in some hospital cell. Any recent news? Is there an address to send gifts? I would love to help this beautiful sister in Christ. Please let us know how we can do this. Thank you. Can I communicate with Agafya? It is nice to have a friend even if a world apart. How do we contact this great woman. we would like to help. I would like to know how to send materials, funds and supplies to Agafia. Is this possible? Please let me know. I am an Orthodox Christian woman who would like to help her. I live in the USA. I do not speak Russian, only some Armenian and of course English.